We like to satisfy various customer demands with minimal investment. 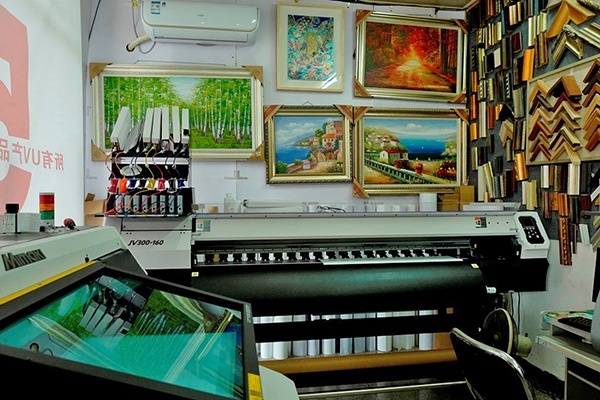 MIMAKI's printers have a wide range of processing, not only being able to make up with short delivery time but also excellent quality, we were able to respond to various customer requests. It became a strong support for a further business expansion. We are providing the services for advertisement design, corporate promotion planning, customization work on international standards. The rich imagination of the industry, fine craftsmanship and serious attitude attracted attention from the advertisement production industry, and has gained high reputation from industry and customers. Beijing Yunjie Zhicheng Trading Co., Ltd. Introduced model : UJF Series (UJF-6042 / UJF-6042MkII), JV300 Series for 8 colors of Eco-solvent ink, CJV Series of Print & Cut (CJV30 / CJV150), etc. 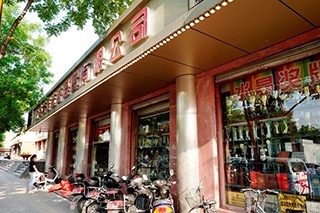 Beijing Yunjie Zhicheng Trading Co., Ltd. is a company with a history of more than 20 years, providing services such as design, production and construction of advertisements. They can create current design team by gathering experienced people in the advertising industry, design it with software such as Adobe Photoshop, Adobe Illustrator, Corel DRAW etc., and can respond to total soft proofing and high-class printing as well. 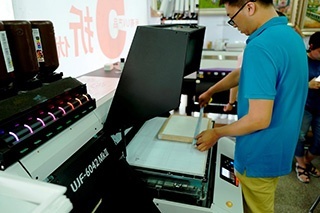 In particular, as a user who introduced UV printer "UJF-6042" for the first time in northern China, they have their own solution for UV printing applications (smartphone cases, high grade signboard, special media etc.). "The MIMAKI product has a wide processing range and could respond to our various customer needs." 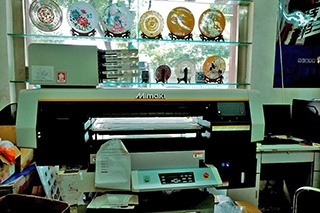 Could you please tell us the reasons of choosing MIMAKI products and the impressions after use ? 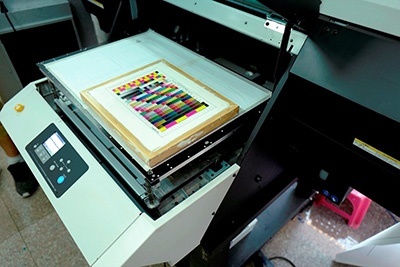 Mimaki's UV curable ink has features such as wide gamut, strong weathering resistance and high adhesion. We introduced Mimaki UJF-6042 in 2014 to cope with special media (resin, acrylic, glass, metal etc.). 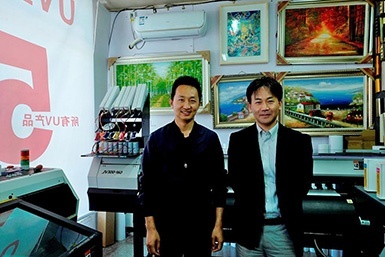 The Mimaki JV300 Series has a smooth continuous output for a long time, and applications such as 4 colors, 6 colors and 8 colors are prepared according to customer's demands. Various third party RIP software such as Caldera, Wasatch, Ergosoft, MainTop etc. can be used as well as Rasterlink6 attached as standard. In order to respond to the needs of the summer custom T shirt, we introduced the CJV30/150 series from April 2017. By printing Mimaki machine with original design on rubber sheet and transferring it to T-shirt, we realized the small-rot multi-production. NameBeijing Yunjie Zhicheng Trading Co., Ltd.